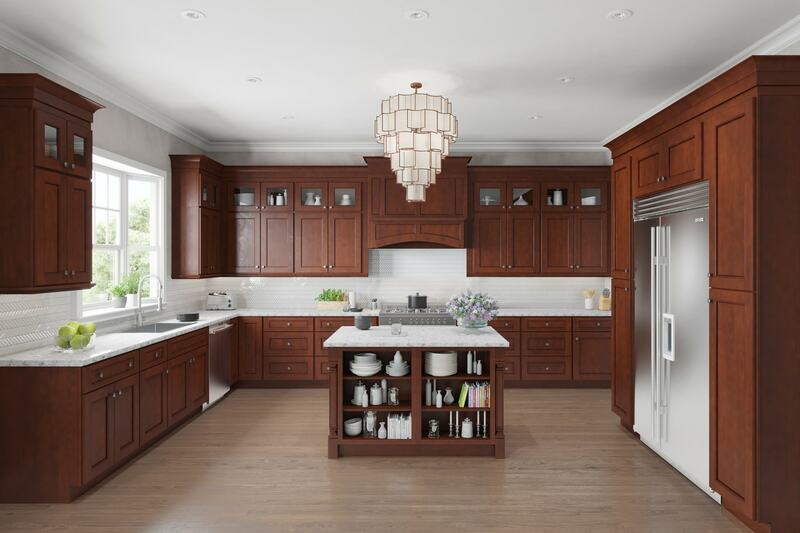 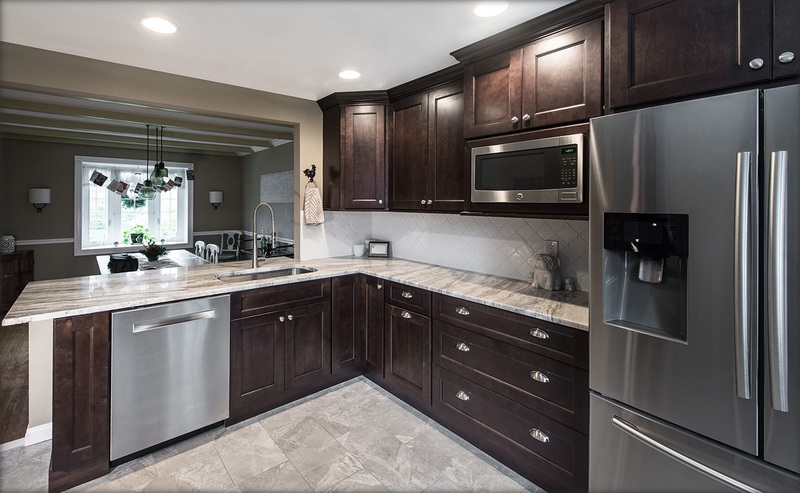 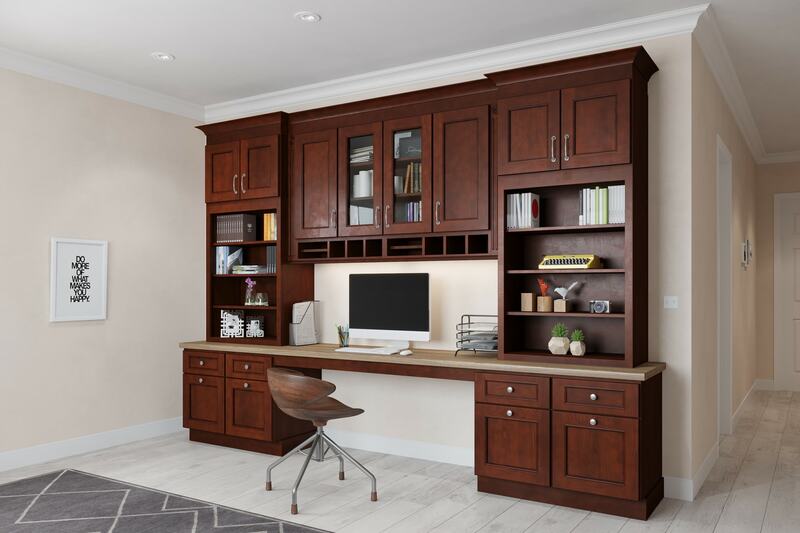 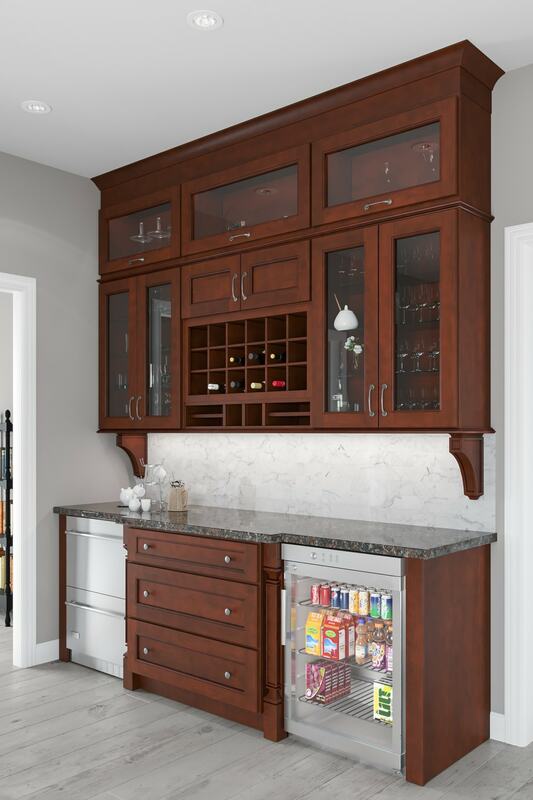 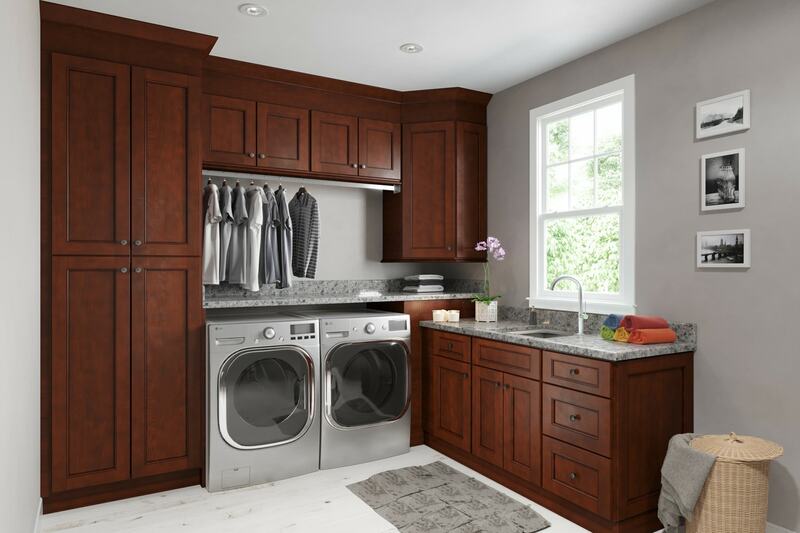 Classic detailing and a rich finish encompass the Tuscan Walnut cabinets. 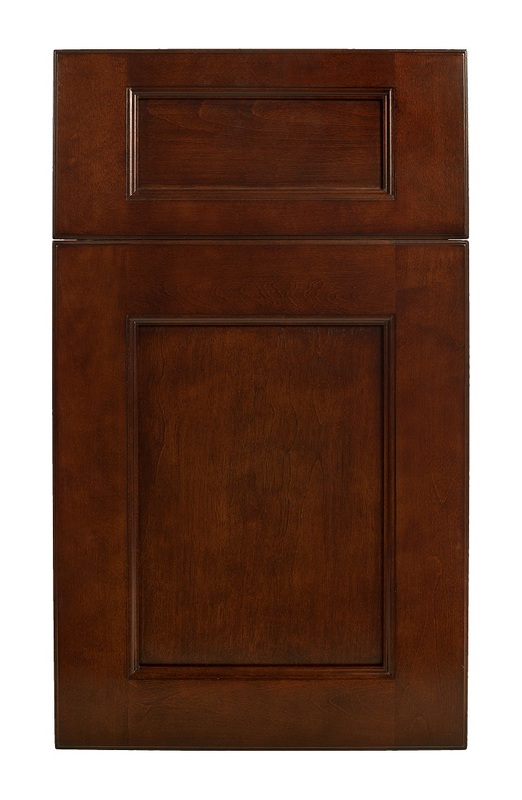 The doors and drawers feature recessed panels with an elegant beveled door frame. 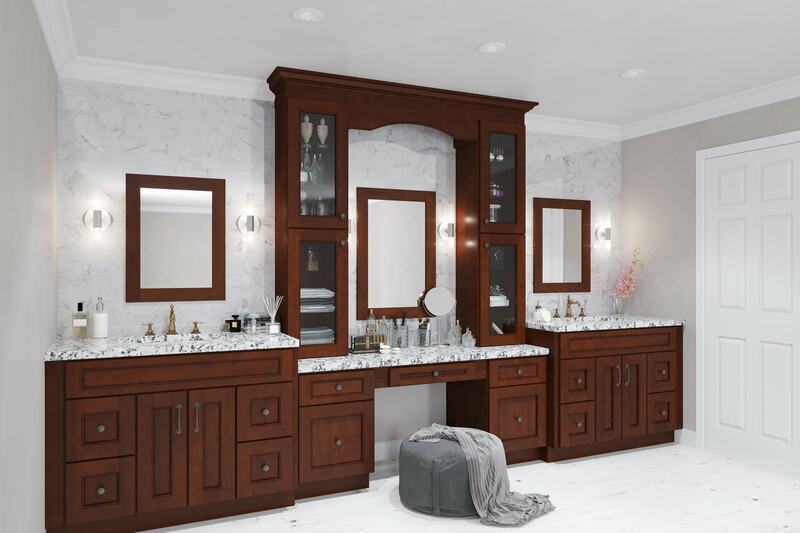 You can be sure they will stand the test of time with a plywood box construction and solid birch, dovetailed drawers.